ZHUILU OLD TRAIL TOUR with Extras! | English Speaking Guides! 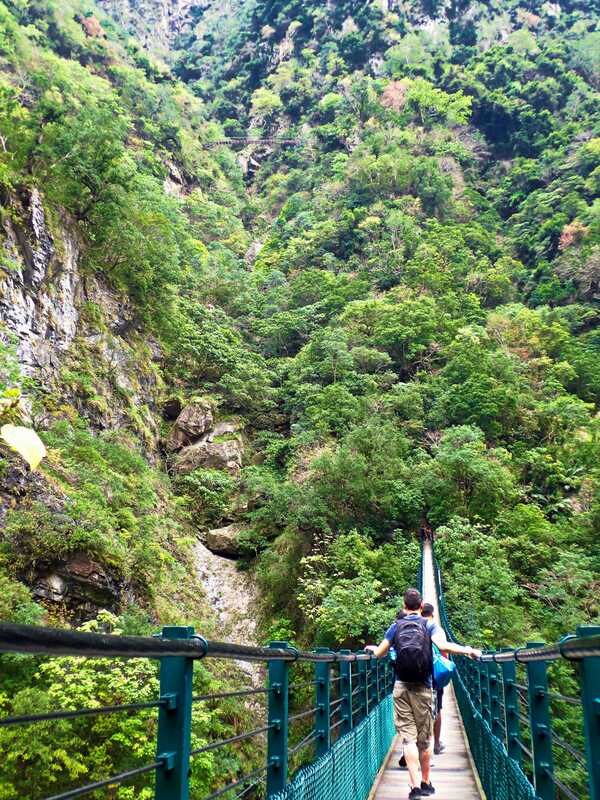 Join Us for One of the Most Spectacular Experiences in Taiwan. The Zhuilu Old Trail! 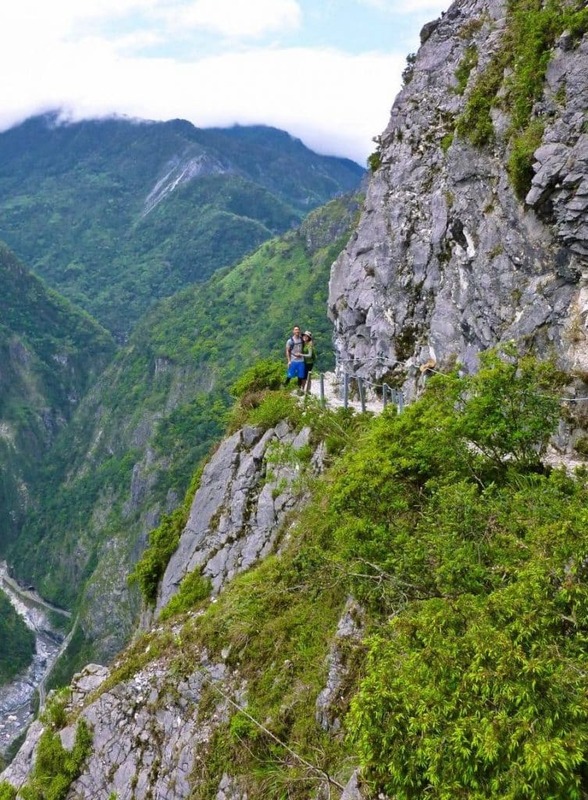 Winding up through the forest and high into the mountains above Taroko Gorge National Park, the incredible Zhuilu Old Trail takes you to near dizzying heights. 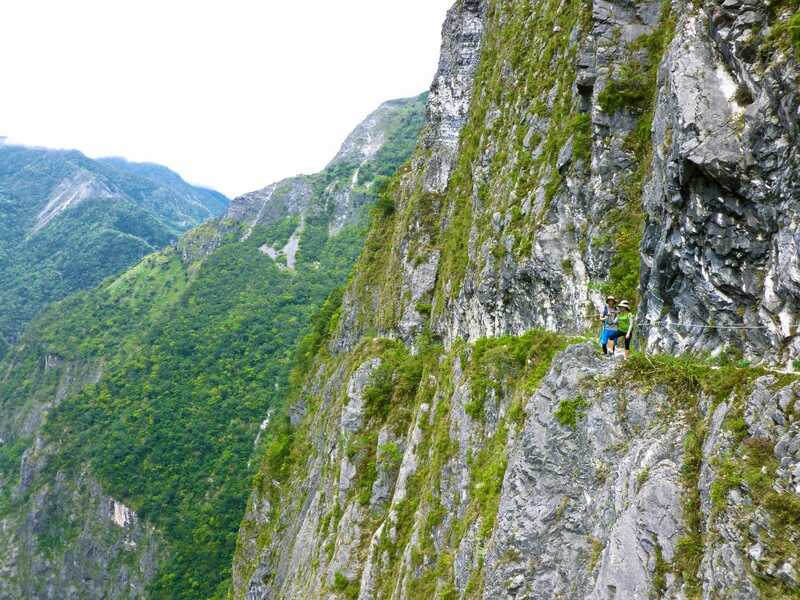 At the top, the gravity defying path continues for 500 precarious meters cut right into the cliffs face. 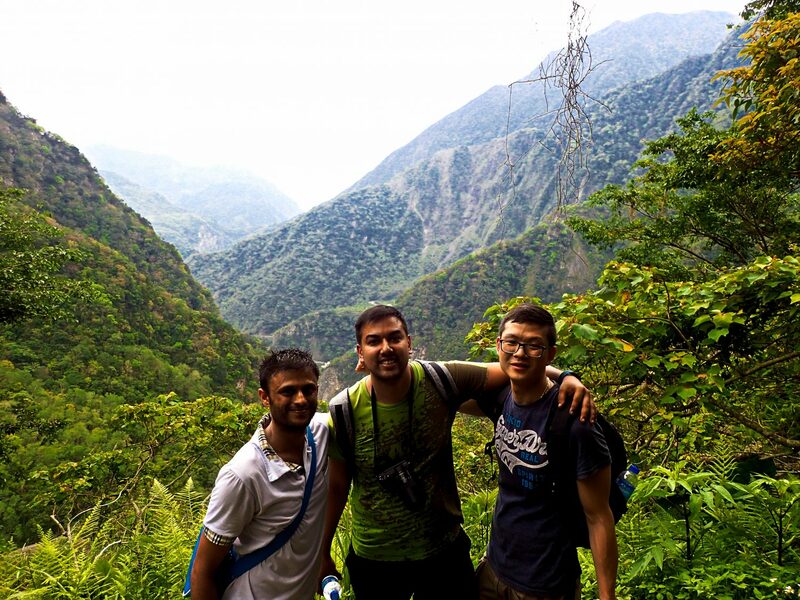 700 meters above the Liwu River and the canyon floor! This is truly something to experience, and one of the most adventurous places imaginable. When booking with Island Life, we’ll take care of all the required park trail permits, police permits and transportation so you can avoid a good deal of hassle. Our small groups are never larger than 8 people. Permits and Park Fees Included! Wind your way up through the forest, keeping your eye out for monkeys! After the hike, we’ll take you to a few extra awesome places time permitting! With Hotel Pickup and Permit Fees Included, Why Wait? RESERVE YOUR ZHUILU TOUR TODAY! WEAR/BRING Your passport, a camera, a full water bottle, snacks, comfortable walking clothing, hat, a raincoat (if the weather looks gray), sunscreen and money for additional snacks, drinks and/or souvenirs. 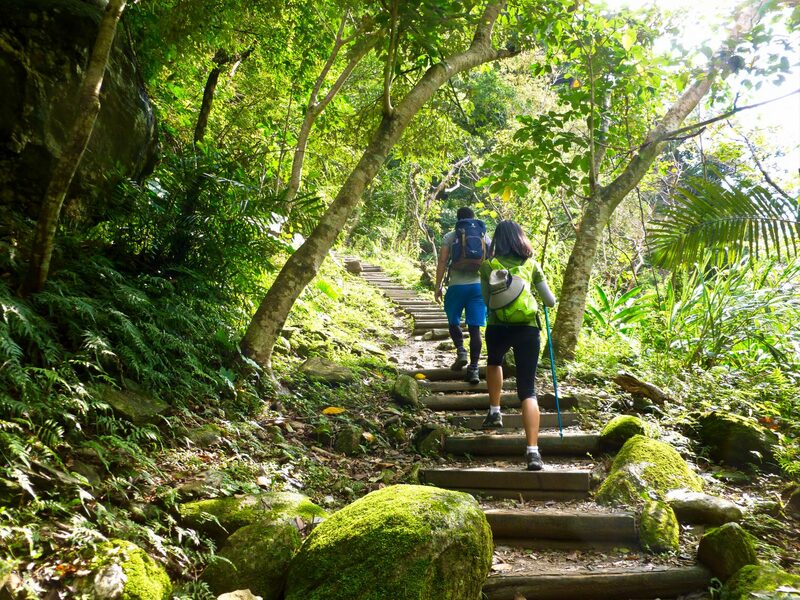 IMPORTANT NOTE: Though anyone in good physical shape can handle the trail, the steep ascent and descent are not recommended for those with serious knee or leg problems. That being said, Island Life provides trekking poles for those who desire them. As always, we’ve got you covered! 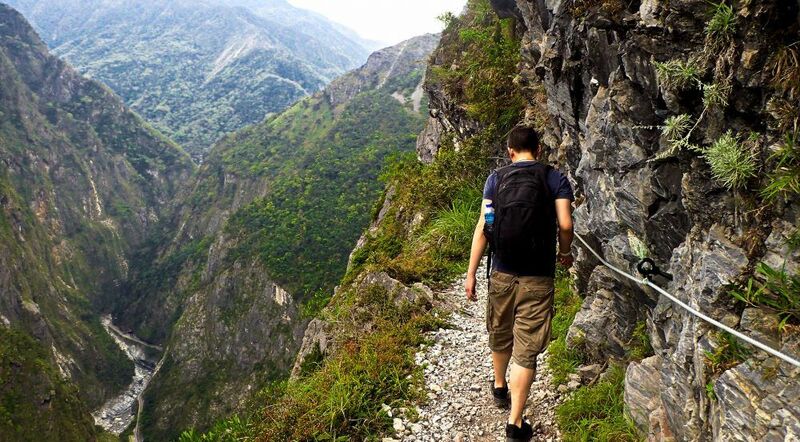 Zhuilu Old Trail hike and More! What a day! 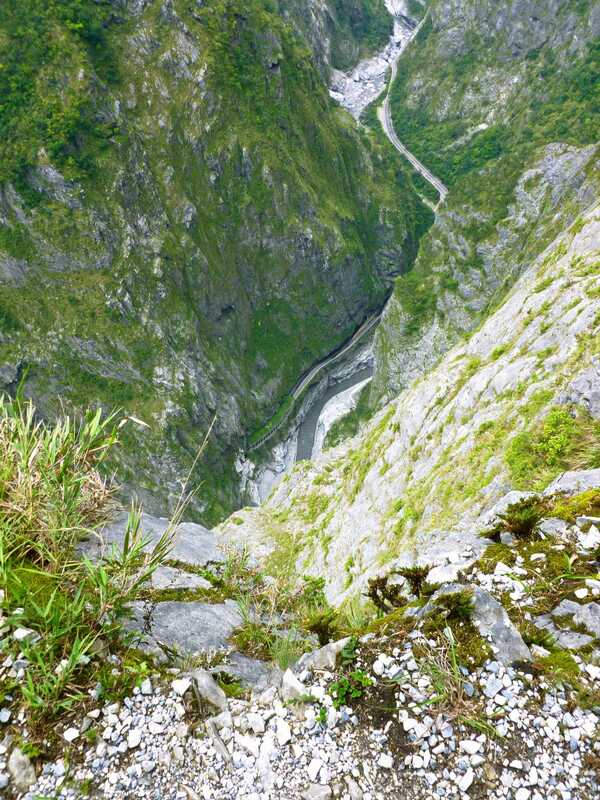 Not for those afraid of heights, Zhuilu Old Trail is definitely “epic” as you would say. Our experience with Island Life Taiwan was equally enjoyable. Easy communication via email, on time hotel pick up, our guide Ana was AWESOME, and all permits were taken care of. Highly recommended adventure in Taiwan! Thankfully I was able to get a permit over a holiday weekend through Island Life, this is not easy. The trail permits sell out fast so book as early as possible. If you are reading this now and want to go in the next month, stop reading and call Island Life to try to make a reservation asap. 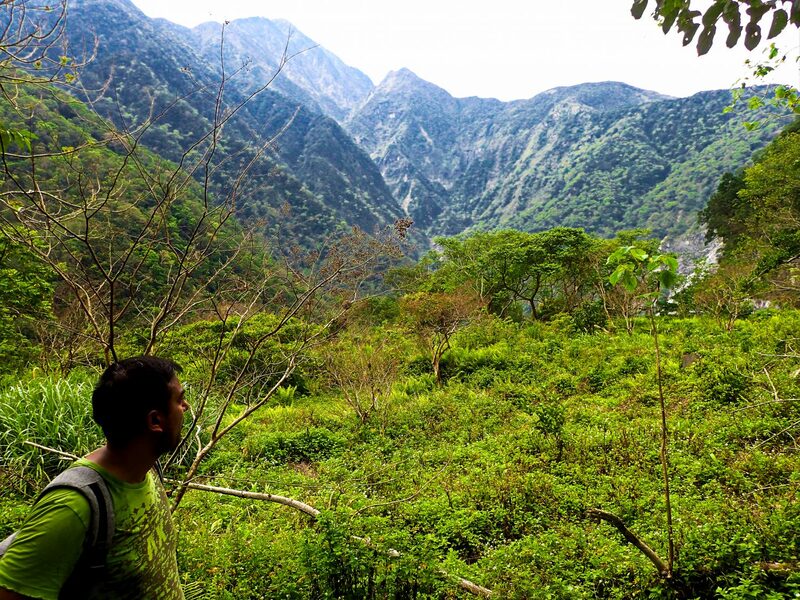 So, we left Hualien at 7:30 and were hiking on the trail by 8:30. The hike itself is steep but rather beautiful with some nice views. The cliff portion at the top is why you do this. Scary but just incredible. Our guide was friendly and helpfull and the whole group had an excellent time. Overall a near perfect experience. Zhuilu Old Trail Rocks! We went with guide Simon and had incredible time! Rain, no problem. When we got to the ridgeline, the clouds were below us! Words can’t describe how cool it was. Thanks to Ana and Simon and everyone at Island Life! Zhuilu Old Trail & ATV beach ride: one of our favorite days in Taiwan! We hiked up the Zhuilu Old Trail with Island Life Taiwan and chose for the ATV add on at the Qingshui Cliffs. We’d definitely choose for this organization again on a next trip! Ana was a great guide: fun to talk to and shared plenty of interesting info about the surroundings and Taiwan in general. The trail had amazing views and the hike was not too hard. Combined with the ATV beach ride, this was one of our favorite days in Taiwan. Thanks a lot! 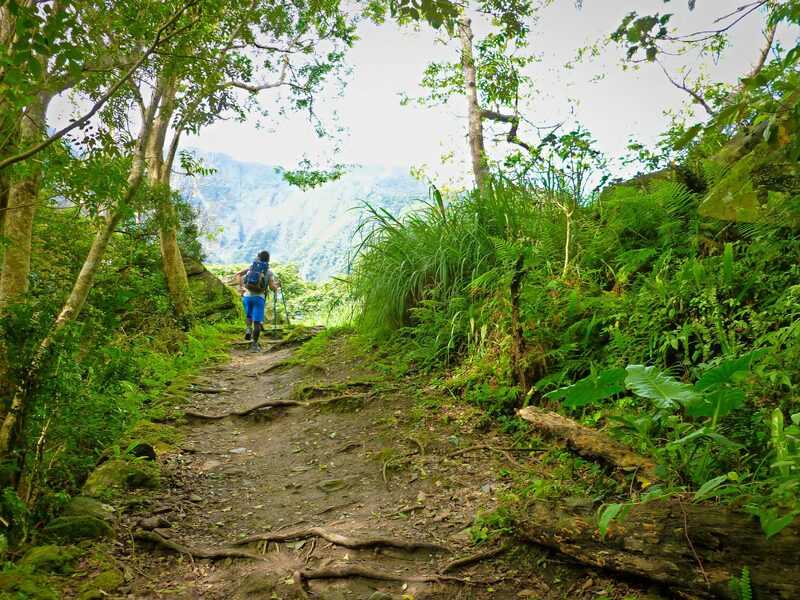 We’ve been on two tours of Island Life Taiwan in October: the Zhuilu Old Trail tour and the Butterfly Valley tour. 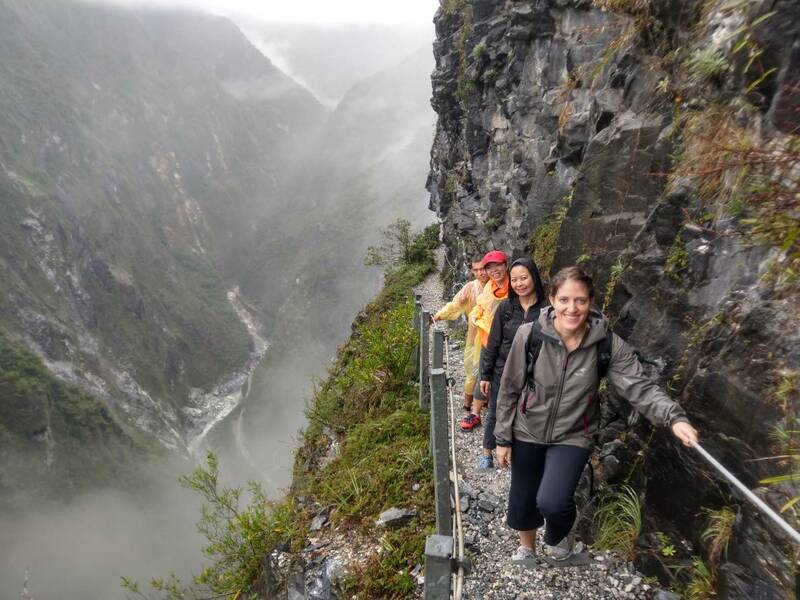 Zhuilu Trail is a must do when you go to Taroko and we had the pleasure of doing it with Ana and another tourist. Spectacular views, but also a big climb to get there so bring good walking shoes (that are not slippery!). Island Life Taiwan was one of our highlights of our 3 week trip around Taiwan. Contact through mail was very pleasant. 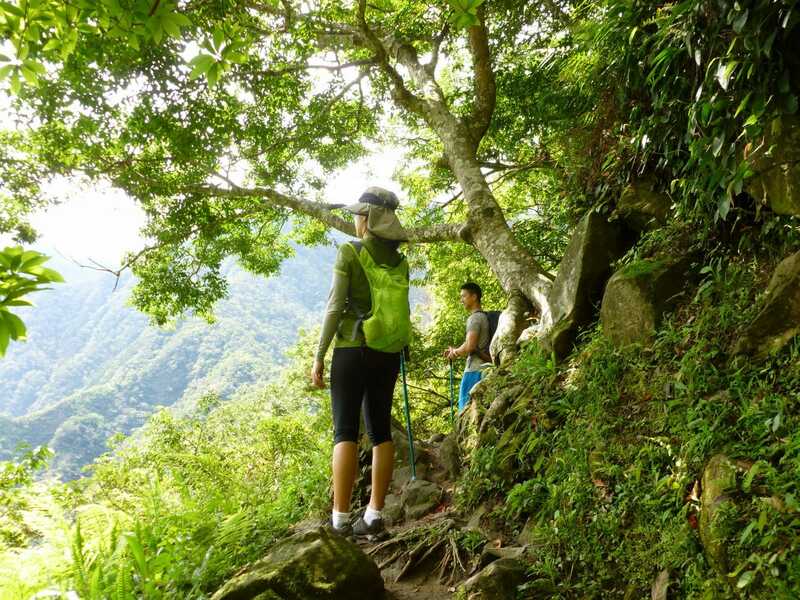 We took the Zhuilu Old Trail hike with Ana a couple weeks ago and had a wonderful time! The views and the information were equally amazing. Ten out of ten would recommend! Great way to learn about Taiwan culture! 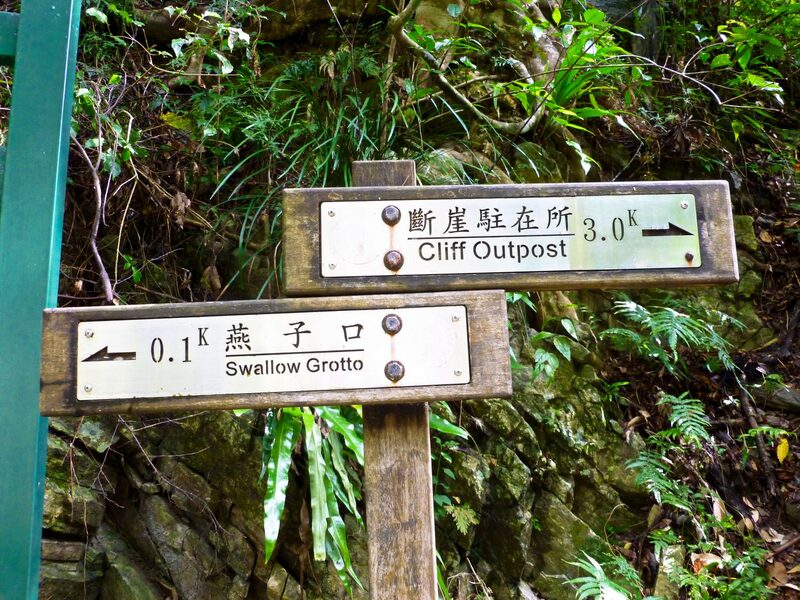 We’ve been on two tours of Island Life Taiwan in October: the Zhuilu Old Trail tour and the Butterfly Valley tour. 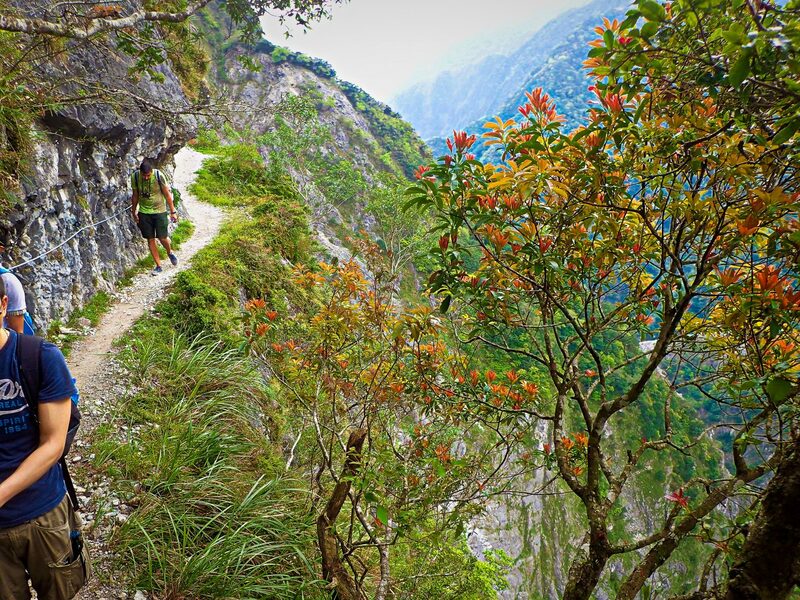 Zhuilu Trail is a must do when you go to Taroko and we had the pleasure of doing it with Anna and another tourist. Spectacular views, but also a big climb to get there so bring good walking shoes (that are not slippery!). Highly recommend Island Life! Just an excellent day! 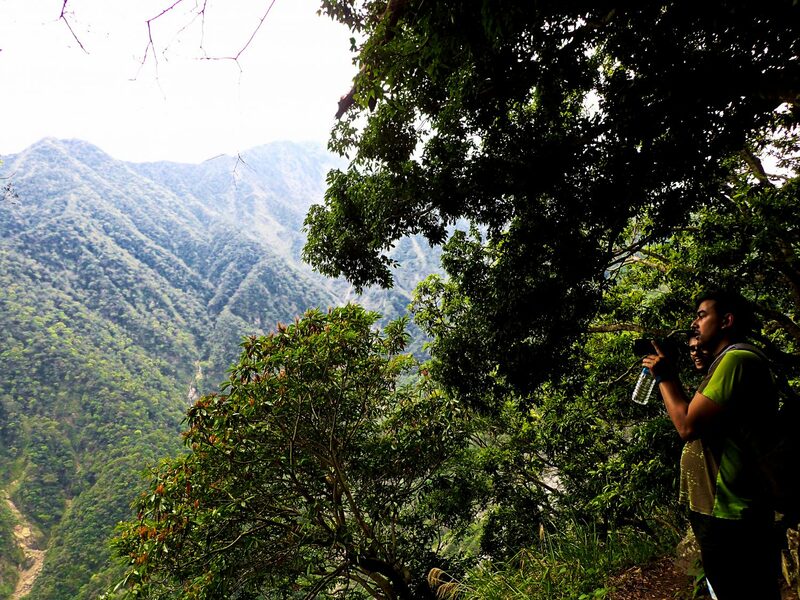 Our group visit to Zhuilu Old Trail was one of the highlights of our trip to Taiwan. An incredible experience made easy by the great folks at Island Life. Thanks to Ana, Daniel and the whole team for making our Hualien visit a memorable one! Great tour company. Ana was great with the customer service for accommodating date changes on our part, for the tour. Simon was a great guide for the trail. The trail took about 4 hours, amazing views with step cliffs. Definitely recommended. We had a small group – 4 peole with the guide. After the trail, given the heat, we went to a local river/ waterfalls, which was refreshing given the crazy heat and lots of fun. I would definitely do another tour with them if in Hualien area again. Anna is the BEST! She kept a good pace for the group and made sure everyone was safe and happy. Zhuilu itself is certainly not for the squeamish. Thankfully we had excellent weather so you could see for miles up there. Highly recommend this outfitter. One of our best times in Taiwan. We did the Zhuilu hike with Anna last week and what an amazing time! The views from up on the mountain were unbelievable. Wish we had more time in Hualien to do more tours with IL! Must do!! Fantastic organisation, incredible guide, stunning scenery. amazing day. 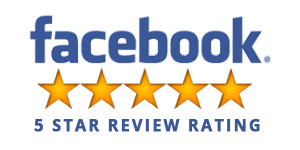 Would recommend this company several times over! Incredible adventure! I wasn’t exactly sure what I was getting my son and I into when I signed us up for this and had no idea how we would handle the challenge. I must state that EVERYTHING about the day exceeded my expectations by far. Our guide was an extremely professional, friendly, and personable young man who really made us feel very welcome and safe for the day ahead of us. He explained everything we needed to do in great detail and took his time with us as we got our courage up for the hike on the cliff. We highly recommend this tour and especially Island Life Taiwan. We took the Zhuilu Old Trail tour with Island Life last week and it was truly extraordinary! Our guide Simon was hilarious and made the trek up to the top a real joy. 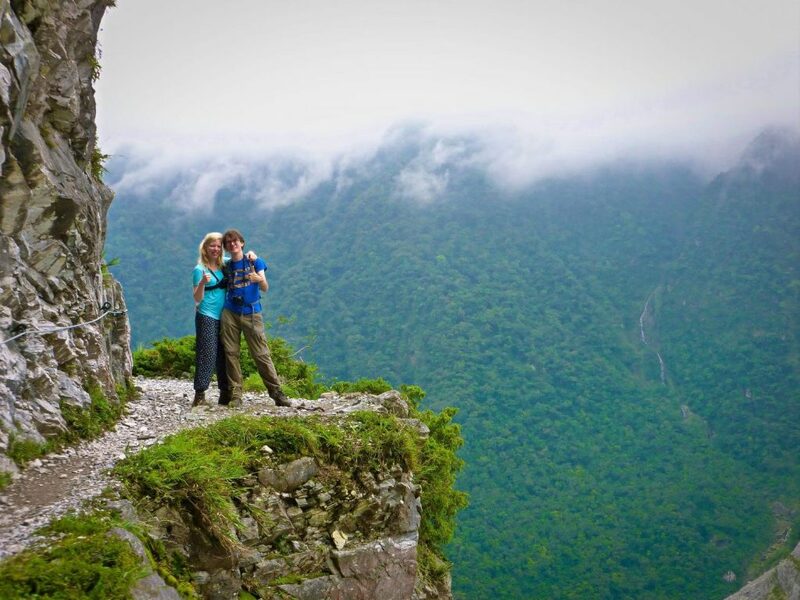 He also took some great pictures of us on the cliff and sent them to us! I would highly recommend Island Life, the whole team goes above & beyond. 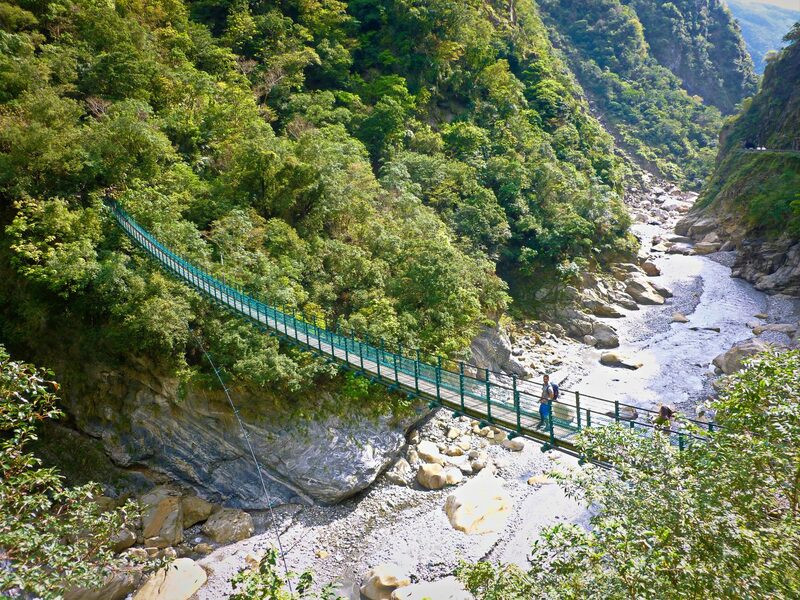 Awesome tour of Zhuilu trail in Taroko. Had a great day tackling the Zhuilu trail with Bruce! 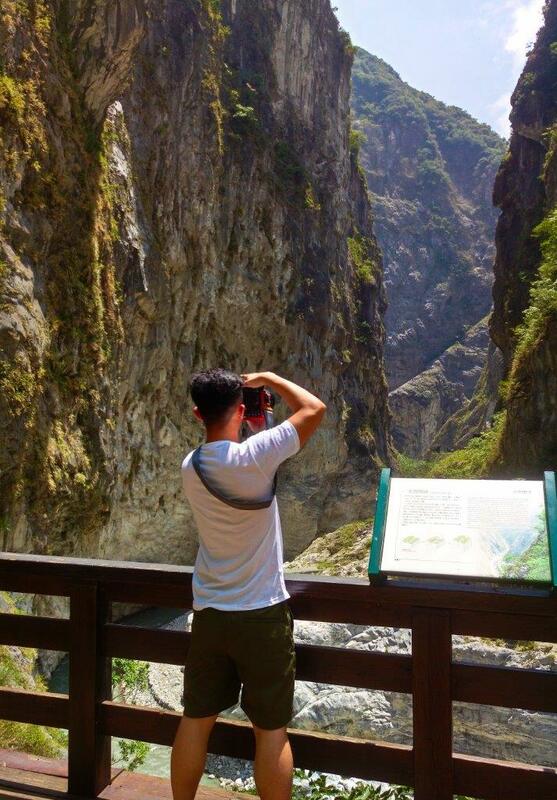 The hike itself was amazing and our time in Taroko was definitely enhanced by having a tour guide. 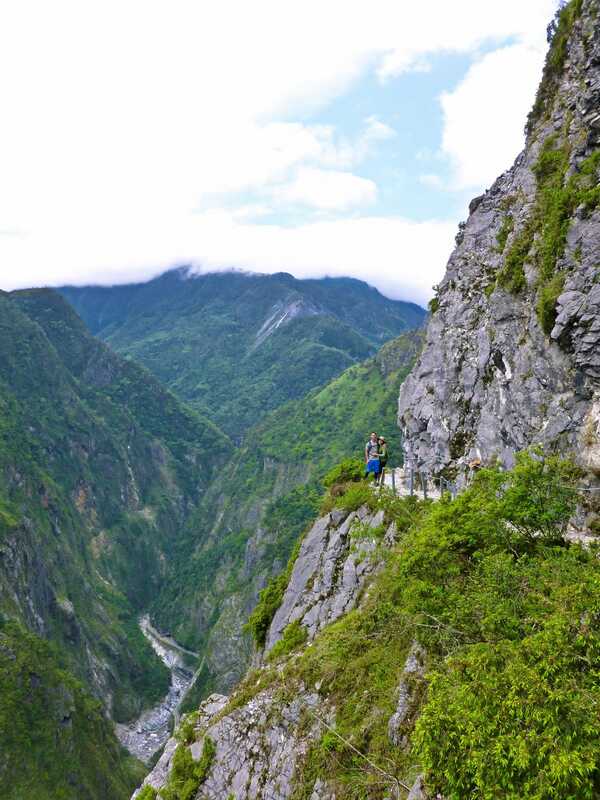 For example, Bruce knew the best time to start the hike to avoid crowds, shared interesting tidbits about the Taroko/Hualien area, and went above and beyond by showing us additional attractions within the park/on the road back to the hotel. 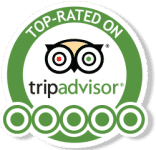 Island Life exceeded our expectations – easy to book online, smooth communication prior to the outing, all permits taken care of without issues, and Bruce even took awesome action shots of us during the excursion. Excited to book another tour with Island Life if we’re ever back along the east coast of Taiwan! 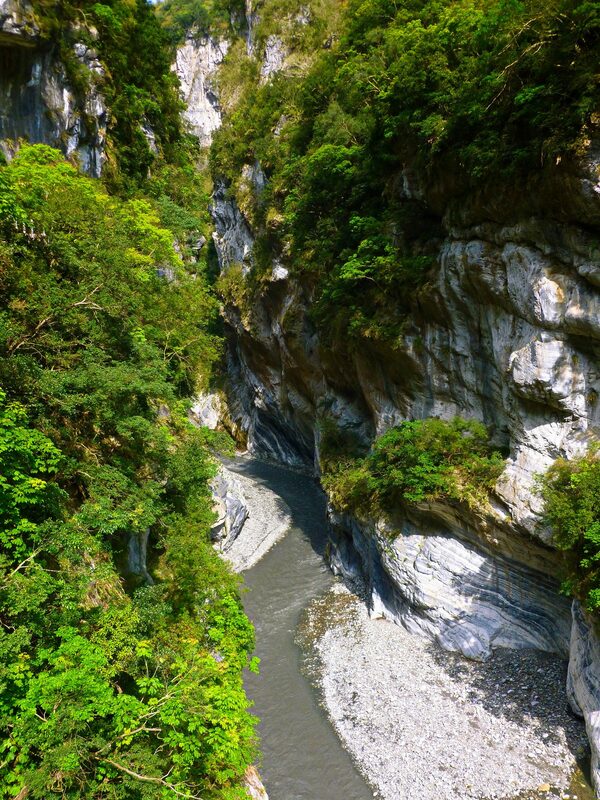 I took two tours, the highlights of the Taroko park and the Zhuilu trail. Both of them were really interesting and fun! My two guides (Daniel and Bruce) had an extensive knowledge of the park and know how to move around to avoid the crowd, They would also take picture, which I found very convenient. 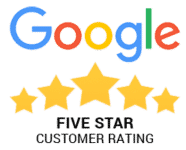 A great experience from all sides! 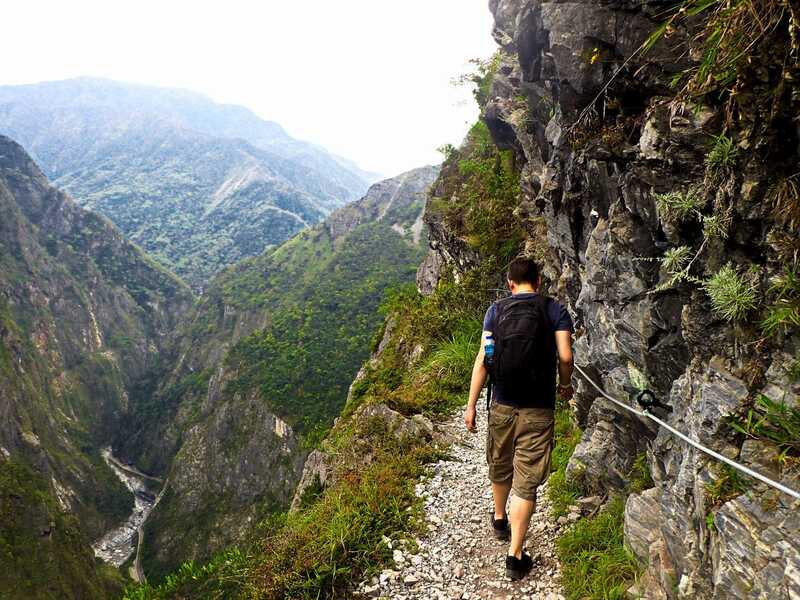 Amazing scenery on Zhuilu Trail. Very lucky with the weather, blue sky all week. The scenery is spectacular, and I definitely rate this tour with the best. Not too hard but definitely need some fitness as some steep hill climbs, beautiful views all along. Recommend the hike and Island Life ..lots of fun and well organized. My friend and I wanted to enjoy the best of Hualien and so we did some research and found that Island Life Taiwan seems to fit our criteria. Took up 2 tours: Zhuilu Trail and Mugua River with Swimming Holes and Waterfall. I must say both tours are epic and amazing for both of us! We took 4 hours to finish the trail(3 hours up, 1 hour down). View from the top is amazing. 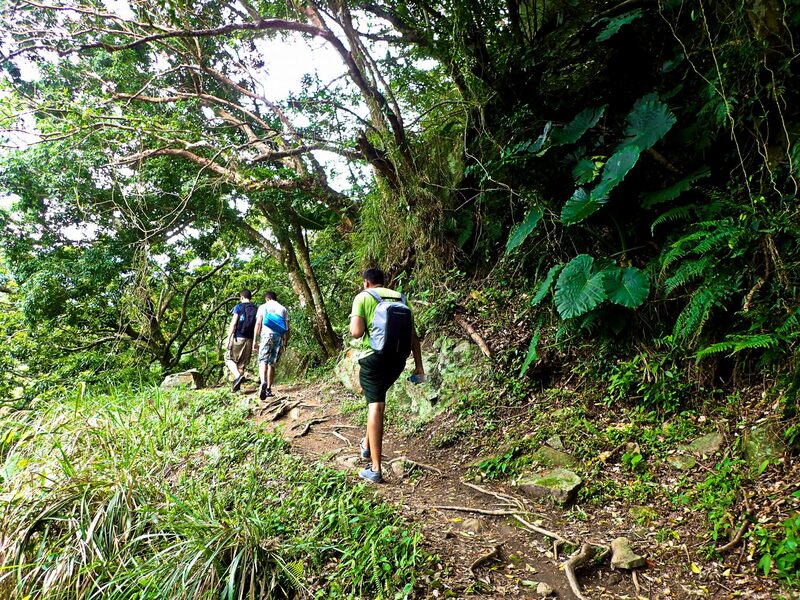 The toughest part of the hike is the first kilometer climbing up as the steps are quite steep. It is definitely the best and highly recommended tour if you love to swim by the waterfall. We hike about 30 mins through the jungle before we reach the first waterfall. We took a dip and enjoy the nature. The best part was that there wasn’t anyone there, truly exclusive! What a view! Island Life and the Zhuilu trail rock! Thanks again gang. 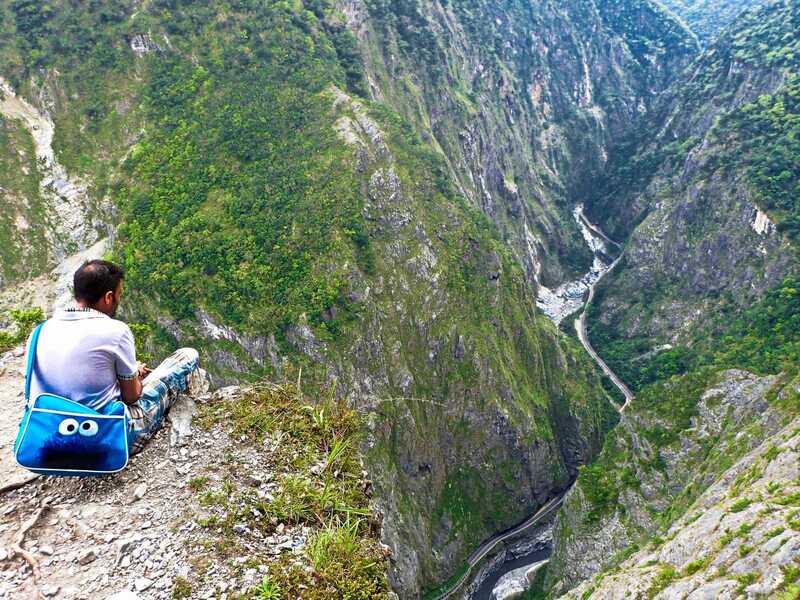 Some friends and I took the Zhuilu Old Trail tour with Bruce and it was stunning – I’d recommend it to anyone with a love of nature and hiking! Having a well experienced guide was priceless. Our friendly guide, Bruce, gave us a unique insight into the history and the wildlife of the park, which we would have been oblivious to without his guidance and experience. One of our group was afraid of heights but with Bruce’s help he was happily crossing cliffs and bridges by the end of the day! 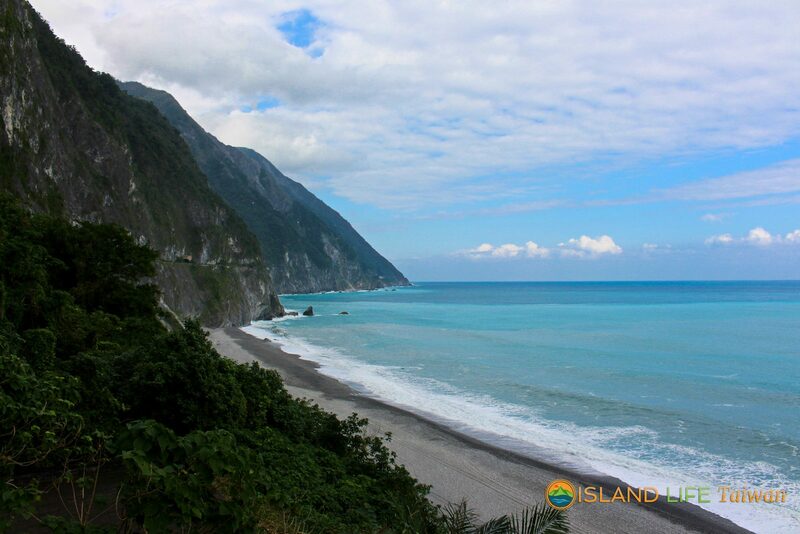 My only wish is that we had more time in Hualien to enjoy more trips with the Island Life team.